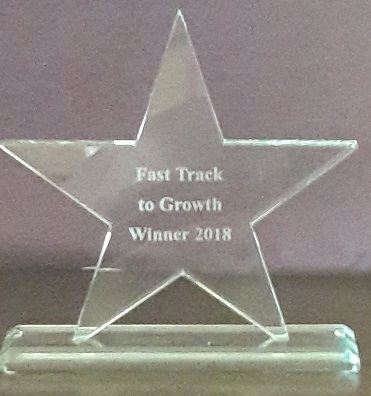 We’re 2018 Fast Track To Growth Winners! To our huge surprise, last Tuesday evening we were announced as the 2018 Fast Track To Growth winners in the Smaller Company category following a pitch event held at Plymouth Science Park. Fast Track To Growth (FT2G) is an initiative that was established in 2015 by PR and marketing agency Astley Media, and is supported by Devon County Council and 11 specialist partners from various aspects of business to provide free growth support to companies in Devon. We first came across FT2G in February when they held a drop-in event in the building next door to our office at Plymouth Science Park. We went along just for interest and found an interesting group of previous participants, other local companies and some of the partner organisations. It was very much a social event, but while we were there we signed up to the free FT2G Growth Day taking place in April. This turned out to be a more intensive event compromising of workshops, 121 sessions with experts and loads of other Devon businesses. We got advice on developing our online portal, our HR recruitment approach, social media options and strategic development. This was a useful day, but it also showcased the highlight of the FT2G programme – their annual intensive programme. You had to apply for the programme as there were only spaces for 15 larger companies and 15 smaller ones. We flip-flopped over whether to apply or not for a few days, trying to decide whether we had the time for a growth programme with everything else we had going on, before deciding to go for it. It was one of our better decisions as we were delighted to make the shortlist for the smaller companies! At the end of May I made my way up to Exeter for the first of the intensive workshops and soon discovered one of the best parts of this programme – meeting a variety of other smaller Devon businesses. The people we met have turned into new business contacts and, more importantly, good friends! Whether we really were spending enough time working on our business, rather than in it? Despite being an IT business, were we really working as smart as we could be? Earth observation produces lots of fantastic images and were we making the most of them in advertising, PR and social media? What was our employer brand? – If we’re honest we didn’t know a thing existed, let alone what ours was! Was our legal, financial, HR and banking support as good as it could be? – We were shocked in the banking workshop to find other local business had great relationships with their bank managers; we’ve not spoken to ours for over 5 years! The intensive programme culminated in a pitch event where each company had four minutes to showcase their company and growth plans. Regular blog readers will know that normally at this point I’d say how well Sam’s talk went; however, as I’d been to all the workshops Sam decided I wouldn’t be getting out of the presentation. So on this occasion, it was me stood at the front doing the pitching! It was a fantastic night, apart from the obvious four minutes of stress, and everyone who pitched did a great job. It was fun to see the different plans people had and the different ways they each showcased their businesses – suffice to say there were spice mixes, cupcakes and some lovely videos! After a short judging interval it was announced that House of Harris won the larger company category, and Pixalytics won the smaller company award. I was equally shocked and delighted to have won! The prize is a 12 month growth support package from the FT2G partners to help our business. We’ve already started the planning, and it is really exciting to see how we will be able to develop the company in the coming months. FT2G has been a wonderful experience for us and we would recommend it to any Devon business. Have a look at the website, and check out all the great companies who have been involved – there are some amazing products and services in our local area. Keep an eye out for the 2019 programme, we promise you won’t be disappointed! This entry was posted in Business Innovation, Earth Observation, Growth, Micro Business, Networking, Remote Sensing, UK Space Industry, Volunteering and tagged 2018 Winner, Astley Media, Barclays, Businesses, Commissioning HR, Cosmic, Devon, Devon County Council, Fast Track To Growth, FT2G, Growth, Growth Support, House of Harris, Intensive Programme, Logo Creative, PFK Francis Clark, pixalytics, Stephens Scown LLP and Aptus UK, What is Fast Track To Growth. 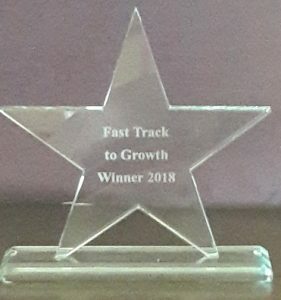 Who won Fast Track To Growth 2018 by Andy. Bookmark the permalink.